With most of the hard- and software up and running (and backup’d) I chose to have a more recreative time: gaming. I still have some 80’s/90’s Atari- (and therefore classic ZX Spectrum joystick interfaces) compatible joysticks: A Spectravideo Quickshot II and a red Competition Pro. Nevertheless – being a branding victim – I really liked to have a Sinclair-branded joystick. The original Sinclair Research Ltd. never released such a device. After the takeover of Sinclair from Amstrad the new regime decided to make an update to the then current Sinclair ZX Spectrum 128 in the form of the Amstrad CPC lookalike ZX Spectrum +2 128. 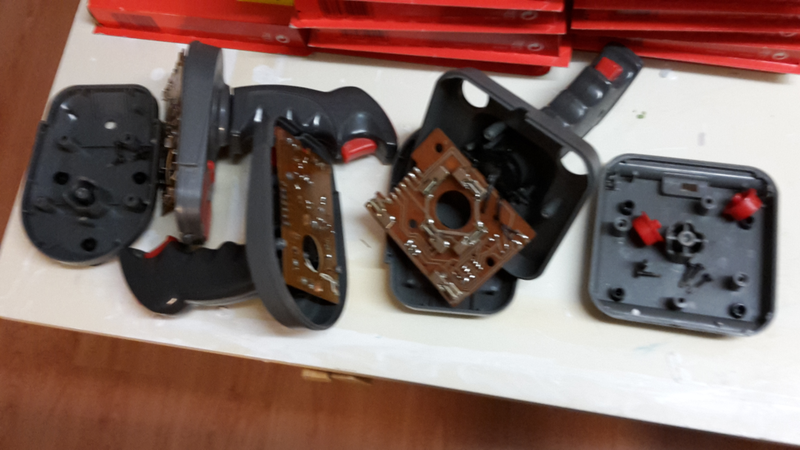 Those machines had (in contrast to the older ZX Spectrums) two inbuild joystick ports. 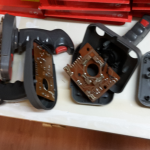 But Amstrad decided to make the joystick ports of the new ZX Spectrum range incompatible to the „standard“ Atari-connectors – a try to force the customers to buy the own Sinclair-branded Sinclair Joystick System (SJS) compatible devices. 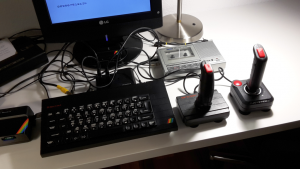 Due to the fact that the pre-Amstrad ZX Spectrums only had Atari-compatible interfaces (including the own Sinclair ZX Interface 2) it was not possible to use the Sinclair-branded joysticks with a Sinclair machine. Wow, what an excellent marketing decision – not! 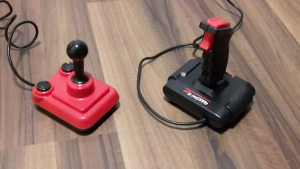 After getting hold of three SJS joysticks (one grey SJS-1, one black SJS-1 and a SJS-2) I had to mod them to resemble the usual Atari connection scheme. I were able to purchase some old, worn and cheap joysticks from the internet (for ca. 5 bucks) and ripped them apart: I needed the cable including the connector. There are some instructions on the net on how to re-work your (Amstrad) ZX Spectrum to make it work with a Atari compatible joysticks. 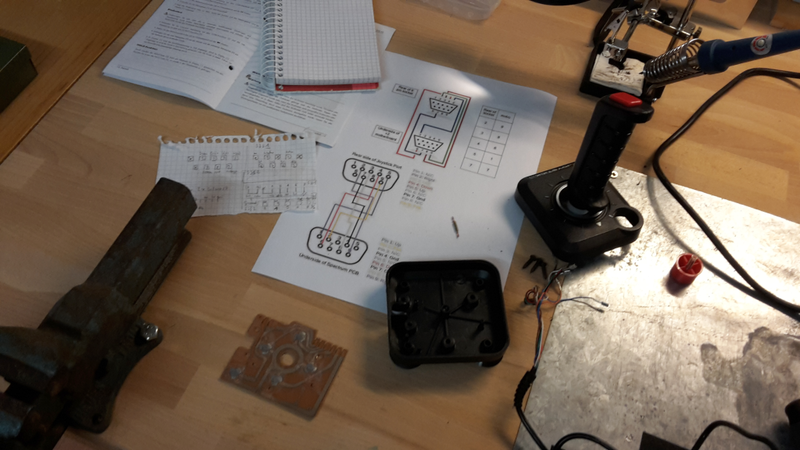 My task was nearly the same (alas the other side of the cable ;-)), so the instructions and illustrations were really usefull. 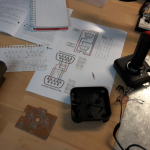 After some line functionality checking, fiddling and soldering all three joysticks had old new cables and connectors and behaved nicely like Atari standard joysticks. Very nice, now those devices fit perfectly to the rest of my Sinclair setups. This entry was posted in Resistance & Liberation and tagged Retro, Sinclair, ZX Spectrum by cha05e90. Bookmark the permalink.